'Jeanie Deans', steam locomotive, 1899. The London & North Western Railway locomotive Jeanie Deans picking up water at Bushey Troughs in 1899. The image is a still from a film made by the British Mutoscope and Biograph Co Ltd. 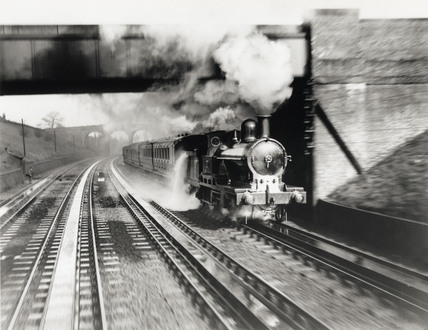 The photographers were on a parallel track, on a special train which made several unsuccesful attempts to match the speed of their subject, before they captured this image.